Goals from Joao Cancelo and Cristiano Ronaldo secured a 2-1 win against Lazio. Arsenal are reportedly keeping tabs on Juventus goalkeeper Emil Audero, who has impressed on loan with Serie A side Sampdoria this season. Ahead of Saturday evening's Serie A clash between Juventus and Roma, Sports Mole looks at how the champions could line up. A report claims that young goalkeeper Radoslaw Majecki is on Arsenal's transfer radar, just a month after breaking into Legia Warsaw's first team. Juventus are considering an approach for Real Madrid goalkeeper Keylor Navas, according to a report. Sports Mole looks at how seven-time defending champions Juventus could line up in their top-of-the-table Serie A clash with Napoli this weekend. Sports Mole selects its Champions League team of the week from matchday one of the group stages, including Lionel Messi, Paul Pogba and Nabil Fekir. Cristiano Ronaldo is in line for his competitive Juventus debut as he is named in the starting XI for Saturday's Serie A opener away at Chievo Verona. Former Liverpool captain Graeme Souness believes that a "question mark" hangs over new Reds goalkeeper Alisson Becker. Marco Asensio scores twice from the bench as Real Madrid recover to beat Juventus 3-1 at FedEx Field in Maryland. Juventus edge out MLS All-Star on penalties in their pre-season friendly in Atlanta after the match at the Mercedes-Benz Stadium ends in a 1-1 draw. Senegal begin their World Cup campaign with a 2-1 victory over Poland in Tuesday's Group H clash in Moscow. Robert Lewandowski leads the Poland attack in their World Cup opener against Senegal. Ipswich Town goalkeeper Bartosz Bialkowski thanks the club's fans for wishing him well at the World Cup with Poland. Cristiano Ronaldo insists that referee Michael Oliver was right to award Real Madrid a late penalty against Juventus in their Champions League quarter-final second leg. Cristiano Ronaldo scores a 98th-minute penalty as Real Madrid book their spot in the semi-finals of the Champions League with a 4-3 aggregate win over Juventus. Juventus goalkeeper Wojciech Szczesny reveals that he is "happy" at Juventus, despite being behind Gianluigi Buffon in the club's pecking order. Paulo Dybala scores either side of half time as Juventus beat Udinese 2-0 in Turin to move to the top of the Serie A standings. Juventus beat AC Chievo Verona 2-0 at the Stadio Marc'Antonio Bentegodi through second-half goals from Sami Khedira and Gonzalo Higuain. Juventus close the gap at the top of the Serie A table to one point courtesy of a 3-1 victory over Hellas Verona. Mehdi Benatia's close-range finish 18 minutes into the match earns Juventus a 1-0 win over Roma at the Allianz Stadium in Turin. Juventus midfielder Miralem Pjanic scores and provides an assist as the Italian champions secured a 3-0 win over Bologna on Sunday. Juventus want Thibaut Courtois to replace Gianluigi Buffon? Juventus are reportedly weighing up making a move for Chelsea keeper Thibaut Courtois as a replacement for veteran stopper Gianluigi Buffon. Two late goals from Juventus are not enough as they suffer a shock 3-0 defeat away to Sampdoria. Wojciech Szczesny accuses former club Arsenal of failing to develop him prior to departing for Italian football two years ago. 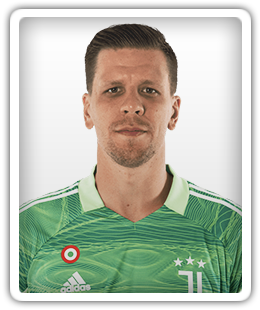 Wojciech Szczesny: "I need to win everything"
Wojciech Szczesny says that he left Arsenal for Serie A champions Juventus due to a "need to win everything". Ousmane Dembele starts alongside Luis Suarez and Lionel Messi as Barcelona welcome Juventus in the Champions League. Arsenal are reportedly "very happy" with their dealings in the transfer market this summer. Arsenal are reportedly struggling to sell their fringe players due to their unwillingness to take a pay cut at other clubs. Relive Sports Mole's coverage as Roma lose to Juventus on penalties in the final game of the International Champions Cup at the Gillette Stadium.